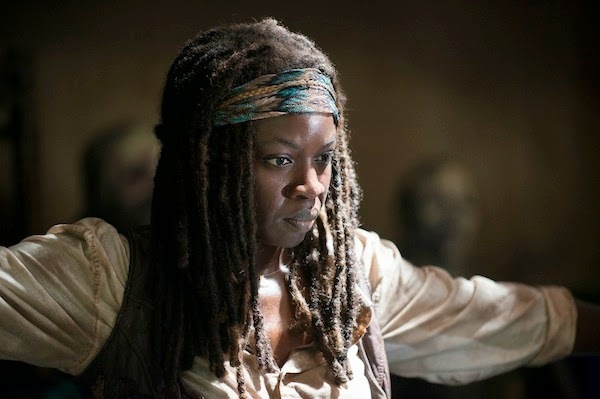 TV-Recaps-Reviews: Sunday Cable Ratings - 'The Walking Dead,' 'Real Housewives of New Jersey,' 'Boardwalk Empire,' 'Homeland,' 'Manhattan' & More! Sunday Cable Ratings - 'The Walking Dead,' 'Real Housewives of New Jersey,' 'Boardwalk Empire,' 'Homeland,' 'Manhattan' & More! On October 19, 2014, AMC's The Walking Dead was the highest rated show on cable with a 7.71 - followed by AMC's Talking Dead (2.62), Bravo's The Real Housewives of New Jersey (1.09) & HBO's Boardwalk Empire (0.80). The Walking Dead was the most viewed program with 15.143 million viewers - followed by Talking Dead (5.134), Discovery's Alaska: The Last Frontier (2.474) & The Real Housewives of New Jersey (2.442). No rating information was made immediately available for Animal Planet's North Woods Law & Rattlesnake Republic; Discovery's Tethered; HGTV's Hawaii Life; ID's On the Case with Paula Zahn; National Geographic's Wicked Tuna: North vs. South; OWN's Oprah: Where Are They Now? ; and Oxygen's Snapped: Killer Couples.